This lovely and fun little website was brought to my attention today: Special Holiday Emergency Desk (SHED). What do you think we typed in? 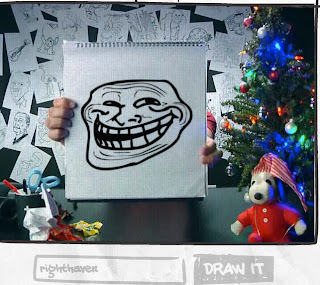 According to SHED, which appears to be a combination of Flash and Google Image Search technologies, Righthaven is interpreted by the Internet in the following way: a predictably ugly and malevolent troll. The domain name auction carries on. Malevolence will be my epitaph.